PuzzleFace: A Social Puzzle Gameis an iPhone game developed by Planet of the Apps. If you’re looking for a fun mobile game where you can square off against your Facebook friends, then this is a great casual game to try out! In PuzzleFace, your goal is simple: quickly and correctly recognize images of celebs, landmarks, and creatures that have been severely distorted. It sounds easy, but it can be surprisingly tough! Some of the images are very distorted indeed, which can make things tricky. Famous faces you will be asked to identify include Rihanna, Oprah, David Beckham, Steve Jobs, and Albert Einstein. 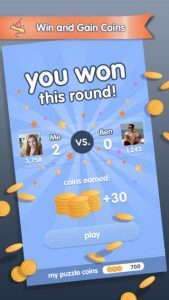 You can challenge your Facebook friends to see which of you is truly the best at recognizing faces, and earn in-game coins that can unlock additional categories. The interface used in PuzzleFace is excellent. 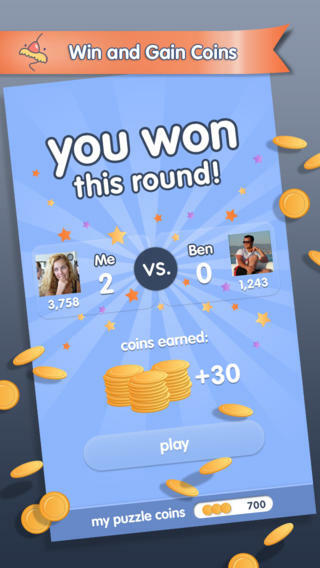 The game is easy to navigate, and the bright, friendly design of the app makes this game just feel like fun. 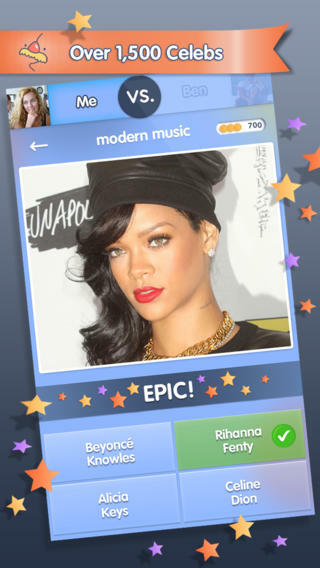 Multiple choice options make the game somewhat easier to play than if you had to enter a celebrity’s name manually. Overall, this game is fast-paced and fun. You can play with Facebook friends, as well as with random players from all over the globe. The most recent version of the PuzzleFace game for iOS is Version 2.1.1, which included a critical facebook login bug fix. 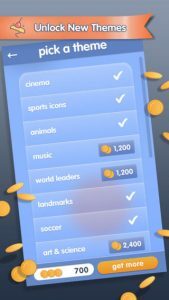 With tons of categories to choose from and a total of over 7,200 puzzles to master, Puzzleface is an expansive and enjoyable social gaming experience. If you are looking for a casual time waster or a fun game to help you reconnect with friends on Facebook, definitely give this game a try! 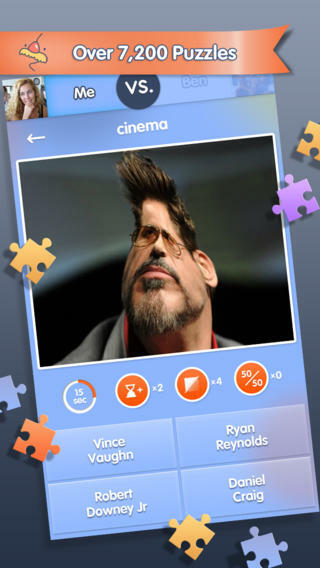 PuzzleFace: A Social Puzzle Gamerequires iOS 6.0 or later. Compatible with iPhone, iPad, and iPod touch. This app is optimized for iPhone 5.